Back in September, Twitter released the news that they were going to radically change Twitter by effectively doubling the character limit per tweet a user can have. 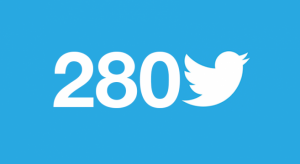 This meant going from the standard 140 characters to a whopping 280. For some, this was a welcome change. For others, this made them very nervous as to how this would affect how Twitter works, on the whole, as a platform, for both personal and business use. We have had the change implemented for a few months now so here are some of the main pros and cons to take from the new increase character limit per tweet. From the character limit doubling, it has given Twitter users the potential to be much more expressive in their tweets. Instead of having to ‘sift’ through a tweet to fit what you want to say into it, Twitter users can be much freer with their terminology and how they talk. The same can be said for business Twitter accounts. However, more importantly, Twitter accounts for businesses now have double the characters to advertise and promote whatever they want to promote. This will prove most beneficial with the Twitter Ads Platform. A lot of people dislike Twitter because of the 140 character limit it had. There was a general consensus that it was just not enough to effectively share a message with to the world. From doubling it will attract more users, since it will give them confidence that they have lots of characters to tweet whatever they want in detail, without having it go on and on, like it can do for all other social media platforms. The main problem with the increased character limit is that existing Twitter users will see their timelines become a bit more congested, since the space each tweet will take up, if the tweet uses the maximum character limit, will be much larger. For Twitter users’ timeline, this will give the impression of it being more cluttered and harder to sift through to the right tweets. It is a general known fact that the longer content is online, the less likely the reader will be engaged with it from the start. This is because the next best alternative is always a click around the corner online. From increasing the character limit, people are less likely to read the tweet if it comes across as a short paragraph. Compare this to the 140 character limit tweets, where it is hard not to read the tweet because it was so short and easy to read. For this reason, the engagement level of such longer tweets will generally be less as opposed to 140 character tweets. This can be rectified slightly by making the tweet different, such as including an image and making sure the first sentence is grabbing the Twitter user’s attention.